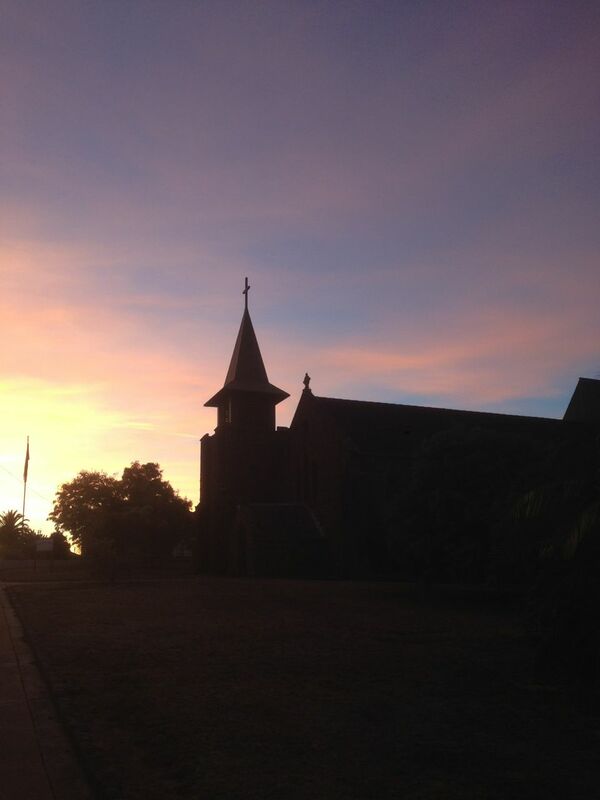 The foundation stone of the Church of England School was laid by Bishop Perry of Melbourne on March 23rd 1857. The building was completed in May 1858. The Common School which had been operating since March 1857 transferred to the new building known as the Church of England School. Church Services were held in the schoolroom. 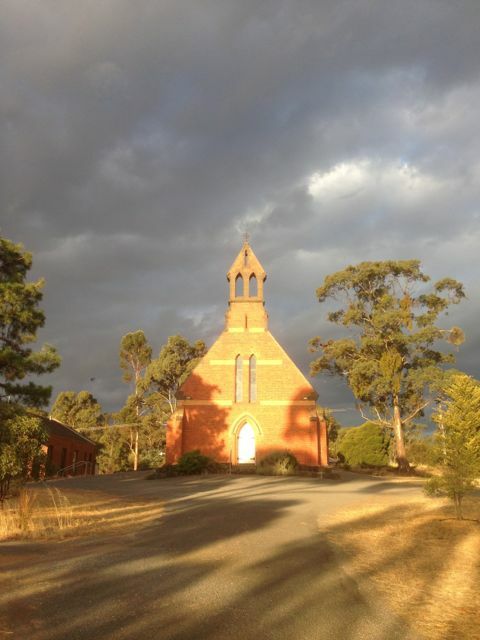 The School was built of locally made Dunolly Red Bricks. 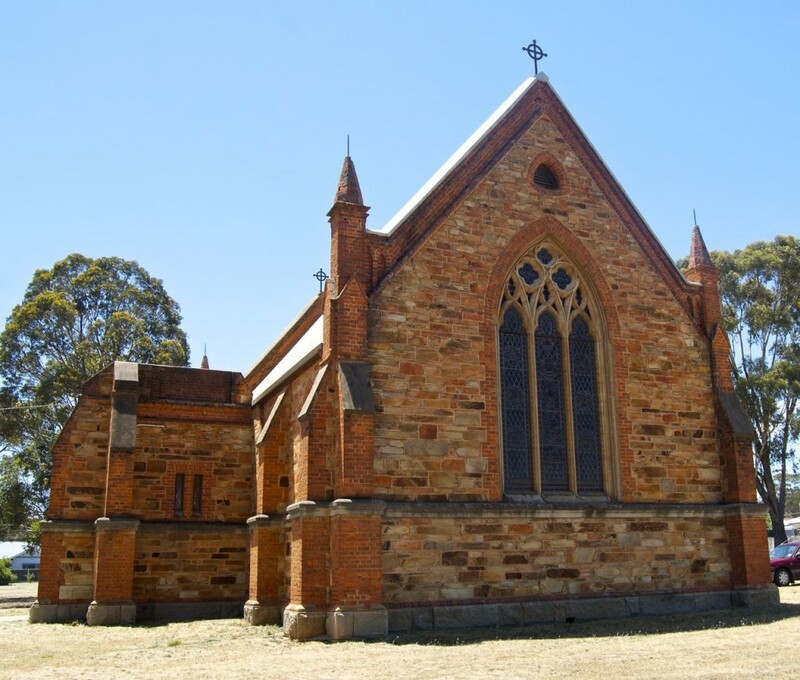 The foundation stone at St John s Church Dunolly was laid by the Venerable Archdeacon Crawford on July 17th 1866. On September 13th 1866 the Registrar of the Melbourne Diocese advised of the approval of the plans and specifications of the new building. The architects were Vahland and Getzchmann. 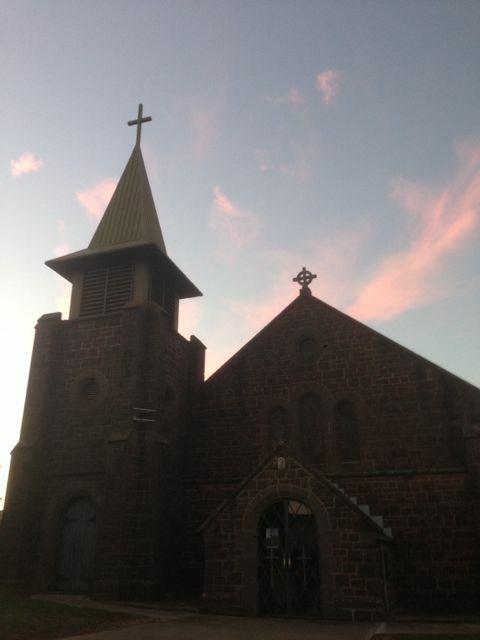 The church of St John Dunolly was opened and dedicated by Archdeacon Crawford on Friday 17th December 1869, assisted by the Rev. R. Poynder the minister at Dunolly. 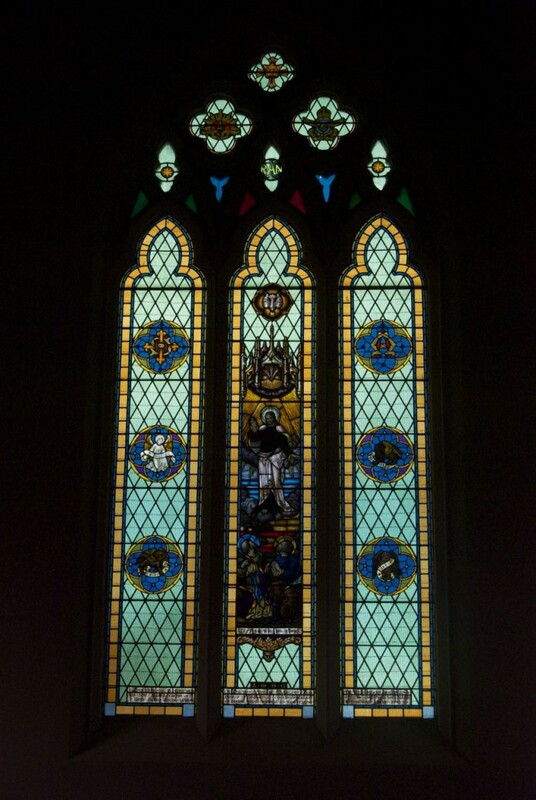 The magnificent stained glass window at the west end of the church was installed as a thanksgiving to Almighty God for victory and in memory of those who died and those who served in the Second World War. The original Vicarage (now a private residence) was designed by architects Vahland & Getzchmann. 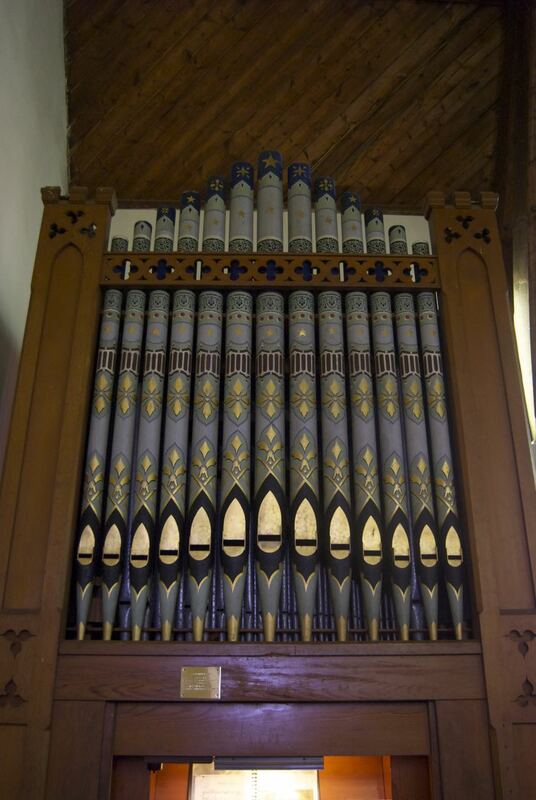 The building was completed in June 1865 at a total cost of seven hundred and thirty six pounds two shillings and sixpence.